Click below to access our online shop where you will find the full range of Tygris Aerosol products available at competitive prices. Textile, Food & Beverage, Road Transport, Engineering, Agriculture, Marine, Manufacturing, Printing. Check out our new Special Offers page for Discounted Items, Discontinued Items and General Sales Offers! 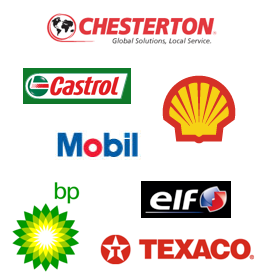 Lubico Limited are expert stockists in Hydraulic oil. We stock a variety of different brands for commercial uses in our Bradford distribution centre but we have access to a much larger range of hydraulic oil on request. We supply a number of industries with commercial oils, commercial lubricants and aerosols. Lubico is one of Yorkshire and the UKs leading supplier and distributor of high specification lubricants, aerosols, chemicals and additives for industry. We are suppliers of Hydraulic Oil, Machine Oil, Cutting Oil, Gear Oil, Commercial Greases, Lubricant Aerosols, Cleaners and many food grade products. Lets face it together. We work with carbon based products that if not handled correctly can have a serious implication for our environment. Bradford, Leeds, Manchester, Hull, Harrogate, Huddersfield, Halifax and the whole of the Yorkshire area. Copyright © 2018 – Lubico Limited - a company registered in England and Wales (Company no.04118527 / VAT no. 860175432) - all rights reserved.